The family-run Rose Hotel Faliraki features an outdoor swimming pool surrounded by sun loungers and umbrellas. It provides a snack bar, BBQ facilities and studios with a balcony or terrace. 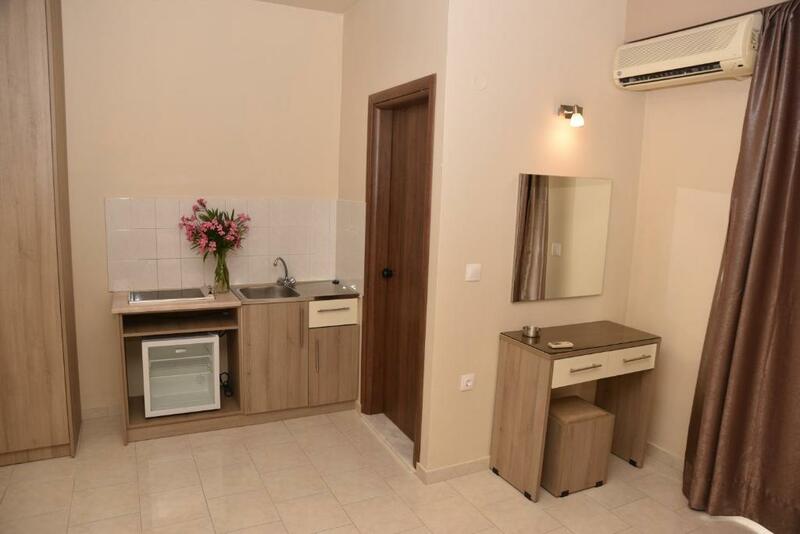 A private bathroom is standard in all the units at Rose Hotel Faliraki. Each includes a kitchenette with cooking hobs, fridge and kitchenware. Some are interconnecting rooms, while others overlook the pool. Air conditioning and WiFi is available upon charge. Each morning a continental breakfast is prepared and throughout the day refreshing drinks and light meals are served at the snack bar. Kids can play in the paddling pool and playground. Car and bike rentals can be arranged by the 24-hour reception. Free Wi-Fi access is available in public areas of the property. 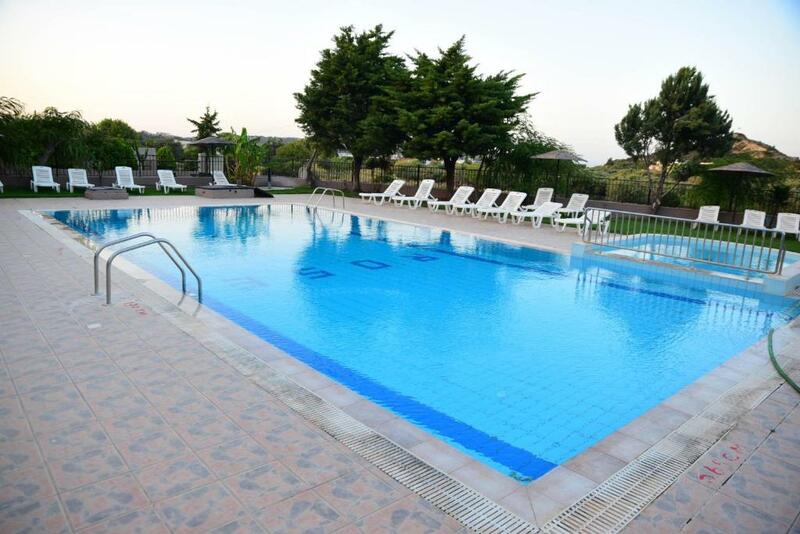 Rose Hotel Faliraki is 9.9 mi from Diagoras Airport. Various supermarkets and shops are located nearby. 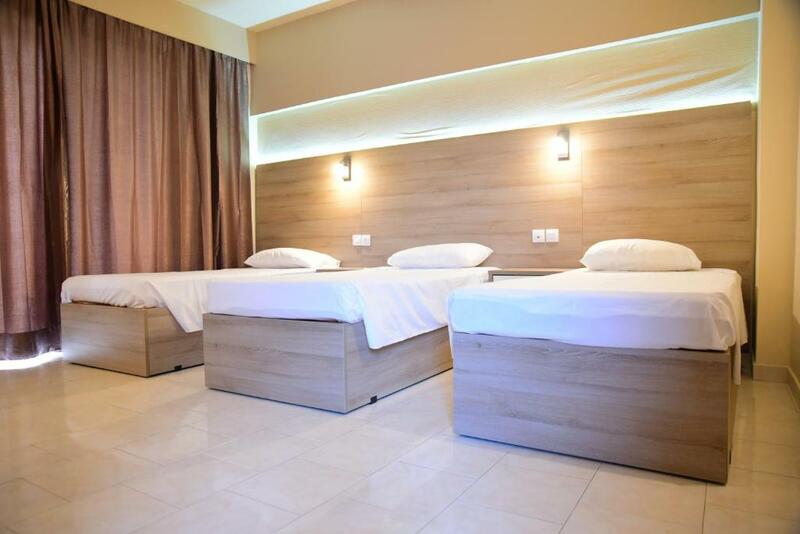 When would you like to stay at Rose Hotel Faliraki? This simple studio offers a kitchenette with cooking hobs, fridge and kitchenware. It opens out onto a balcony or terrace. Air conditioning and WiFi are available at extra charge. Offering pool views from its terrace or balcony, this modernly decorated studio offers a kitchenette with cooking hobs, fridge and kitchenware. Located on the ground floor, this family studio consists of interconnecting rooms. It includes 2 terraces, both with pool views. 2 kitchenettes and 2 bathrooms are also offered. In the center of Faliraki and at the same time not so far! House Rules Rose Hotel Faliraki takes special requests – add in the next step! Rose Hotel Faliraki accepts these cards and reserves the right to temporarily hold an amount prior to arrival. Please note that safety deposit boxes are available at the reception area, at extra charge. Kindly note that guests must have the credit card used for the reservation, upon check-in. Please inform Rose Hotel Faliraki of your expected arrival time in advance. You can use the Special Requests box when booking, or contact the property directly using the contact details in your confirmation. We can reserve 5 places. We got two separate studios. Therefore, the air-condition surcharge is 2X. So it's very expensive 56 € If I know, it's not here to book accommodation. There is no freezing in the refrigerator. On the picture the wine is just an illustration :( There are many noisy young people. Poor sound insulation. Very Good pool. The room is style but worn. There was no holder on the wall for the shower and the shower head was broken. There were ants in the kitchen. The cleaners never emptied the bin so we had to take the bags out to them after the room had been serviced. The air conditioning kept turning off after about 10 mins of use and didn't work properly. Only ordered food from the bar once and the jacket potatoes were raw on the inside. The pool was very nice and very clean. There was plenty of sun loungers. Staff were friendly and always said hello.